Darryl McDaniels stopped by the opening of “Deconstructing Stigma: A Change in Thought Can Save a Life” at Logan Airport. 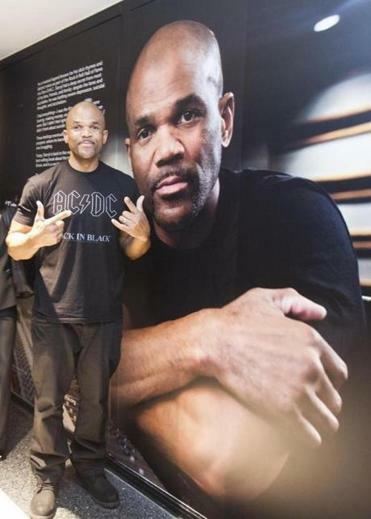 Darryl McDaniels, who put the D.M.C. in Run-D.M.C., was at the opening of “Deconstructing Stigma: A Change in Thought Can Save a Life,” a new photo exhibit at Logan Airport intended to raise awareness about mental illness. McDaniels, who dealt with depression throughout his life, was joined by author Luanne Rice, Marylou Sudders, secretary of the Executive Office of Health and Human Services, McLean Hospital president Scott Rauch, and Massport CEO Tom Glynn.